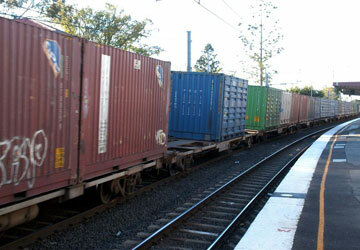 Rake capacity in the Indian rail freight industry is bound to grow from the present 300 rakes to 500 rakes by 2013. According to industry experts, looking at the expected growth in volumes, there is a need for more rakes. However, they pointed out that in the segment, rail haulage rates continue to remain a serious concern. “Increase in rail haulage will weigh heavy on capacity utilisation. Private container train operators may not be able to pass on the hike to customers. They are actually competing with the road sector for the ‘fill factor’. Any increase in haulage rates will put off the customers and they might be tempted to go back to the road sector. Private operators will have little choice but to absorb the hike and margins will take a beating,” said an official from Sical Logistics Ltd.
Rail haulage charges are paid by container rail operators to the Indian Railways for using its track, signalling and telecommunications infrastructure. Such charges could add up to 80%-85% of the operational expenses of such companies. On being questioned on what would drive the expected growth in volumes, the official said, “The growing economy is the main factor for the planned expansion. “The present penetration level of containerisation is about 65% in India, which is far below the world average of 80%. And rail haulage of containerised cargo is hardly 8% of it. This presents a huge opportunity for the private container train operators to expand capacity,” the official added. Sical Logistics is one of the many rail freight companies that will contribute to this expected expansion by 2013. Through its 100% subsidiary Sical Multimodal And Rail Transport (SMART) Ltd, Sical Logistics plans to add eight more rakes in the coming two to three years. Sical currently has five operational rakes. In a research report, IDFC SSKI Securities Ltd said, "While the number of operators appears high at 16, we believe there are enough volumes. With 500 rakes expected to be operational by FY12/13, players are eyeing only 3% (97 million tonnes) of the overall freight market. However, volumes are required to be shifted from road to rail, for which operators have to offer timely, reliable and value-added services with last-mile connectivity and customised solutions." Among the companies planning huge rake additions is Gateway Distriparks Ltd, through its rail freight unit, Gateway Rail Freight Ltd. The company plans to add three more rakes by the end of FY10. It is also expected to add more rakes in FY11 in order to capture higher volumes in both domestic and international markets. Arshiya International Ltd plans to scale up to 30 rakes from the present 6 rakes in the next two years. State-run Container Corporation of India (Concor) similarly plans to add 20–25 rakes every year. Currently, Concor has 218 rakes. The rail freight industry at present faces two major problems—utilisation levels and high rail haulage rate. Utilisation levels are highly dependent on return loads. The private rail freight industry has also been suffering due to high rail haulage rates charged by the Indian Railways. The break-even level of utilisation depends on factors like distance moved and value-added services. IDFC SSKI has said that the break-even levels can vary from 65%-85% based on the above factors. While the utilisation levels are expected to be taken care of with the expected growth in rail freight volumes, high rail haulage rates continue to be a serious concern.